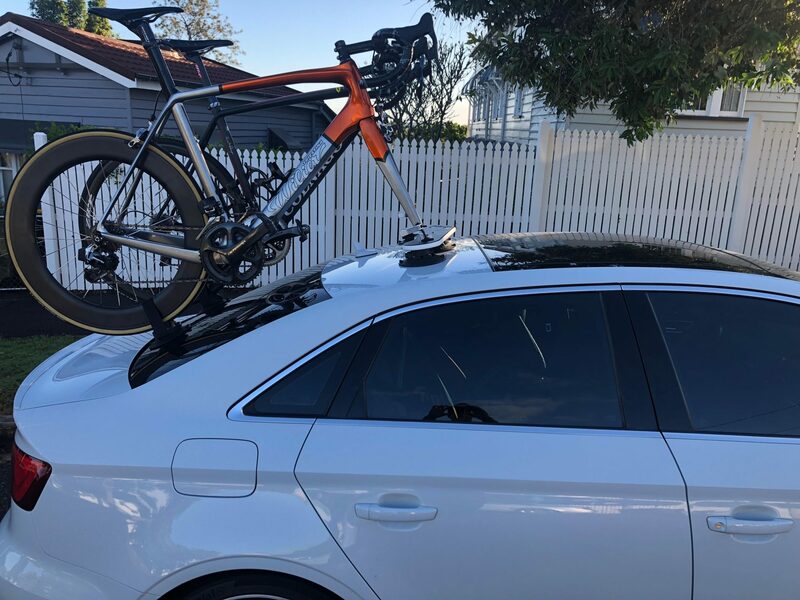 Brad is an avid cyclist who was in the market for an Audi S3 Bike Rack. Brad rides daily and competes in A Grade road and off-road cycling events. He contacted us looking for looking for a solution that would meet his needs. 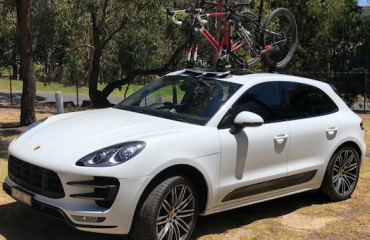 Upon reviewing his requirements we recommended the SeaSucker Mini Bomber 2-Bike Rack. 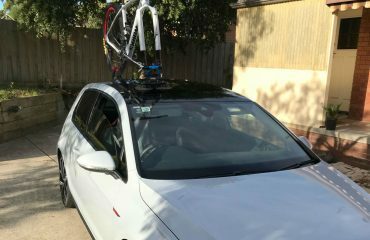 Brad’s Audi S3 also has a Panoramic Roof. We suggested mounting the Mini Bomber mainboard directly behind the Panoramic Roof. 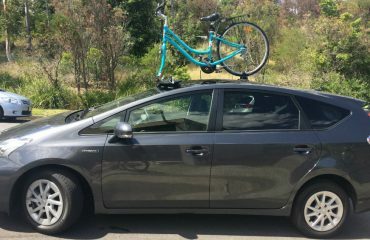 As a result, this would maintain usability whilst transporting his bikes. It also helps to minimise overall height making it easier to fit under carports and garages. Shortly afterwards Brad sent us these photos along with h his brief feedback “works like a dream”. Thanks, Brad for sharing your experience. We also included Brad’s Audi S3 on our Mini Bomber – Sedan & Sports Cars Installs as an example of a roof/rear window set up. 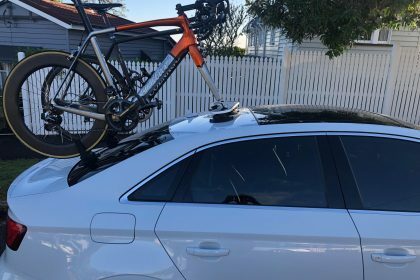 Looking for a bike rack for your Audi S3?